Sallachy proved a most successful brood, like her dam and half sister. Her first litter to Irish Ch A Kirkcowan of Poolmist produced two UK Champions, Connel and Shuna who like their dam went to Spain and added many titles to their collections. Also in the litter was Am Ch A Kildalton and A Torsa (granddam of Pilgrim through his sire). 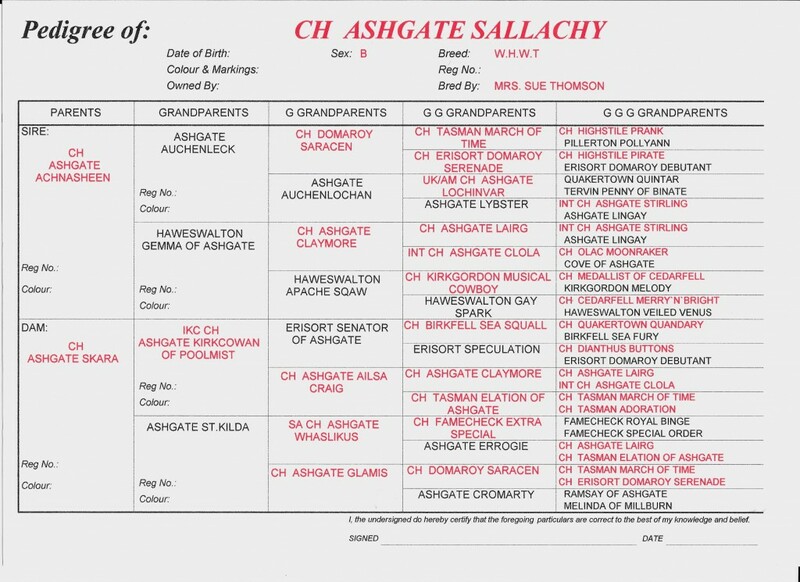 A litter to Ashgate Lenzie produced Sinclair and his sister, Skerry, plus several other winners around the world.